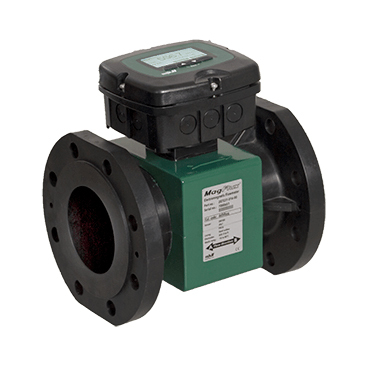 The MJK MagFlux Q (8200 series) flow measurement made completely corrosion free. 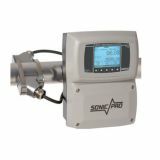 This electromagnetic flow meter is specifically created to match the harsh conditions in for instance salt water applications. 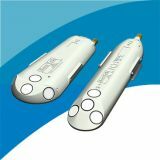 MagFlux Q provides high precision measurement even with very short build-in lengths. This is a perfect solution when tracing water loss, measuring conductive fluids with high content of chemicals, salt water, even heated salt water and waste water in general, without providing your application any issues on the weight of the construction. With MagFlux Q you can achieve high precision measurement even at 0.1 m/s, and installation of the MagFlux Q in a network with classic MagFlux flowmeters, converters or displays. MagFlux Q fits widely into all types of waste water applications, the short build-in length and corrosion free construction makes MagFlux Q perfect for instance for measuring inbound flow. Waste water pumped from one district to another can be measured and as the counters are MID certified the total counters can be used for billing, MagFlux Q measures in both directions for perfect waste water transfer solutions. MagFlux Q can easily be connected to other MJK devices such as Mµ Connect RTU, and communicated via RS485 ModBus. 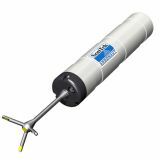 When measuring salt water even heated salt water with high precision MagFlux Q is your perfect tool. MagFlux Q is constructed in ABS and is not just rugged but also corrosion free. The device is developed for, and tested by, leading producers of aqua culture applications and tested by technological institute Aarhus, Denmark. Exact measurements even though MagFlux Q is mounted with a build-in length of merely 1:1 of DN, combined with the light weight makes MagFlux Q ideal for naval construction also. MagFlux Q perfect solution when tracing water loss, the super lightweight construction allows simple mounting procedure of a MagFlux Q even in a district well. The device is corrosion free and the converter can be IP68 secured from factory or after mounting. 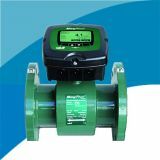 MagFlux Q measures with very high precision even at flowrates of 0.1 m/s which makes it one of the most attractive flowmeters when you are eliminating water loss by measuring night flow. MagFlux Q works in network with other MagFlux devices and communicates via 4-20 mA, RS485 or ModBus. High precision, long life time and trustworthy documentation. 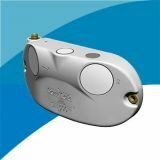 MagFlux Q measures better than +/- 0.25% precision and is created to work in harsh environments. 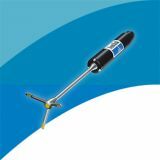 The body is constructed in ABS and the Hastelloy C electrodes enables measurement of salt water, heated salt water or conductive liquids containing corrosive content without issues even in the long run. 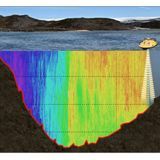 The improved electromagnetic field will provide exact measurement even using a build-in length of only 1:1 of DN.